I would like to correct a few errors in my book on flash photography. It seems no matter how many times work is cross-checked, mistakes do slip by. Neil…Big fan of your site, wish I had time to keep mine up. Love your book though. I actually was waiting for it to come out and was pleasantly surprised. Never thought of metering with the histogram for flash, nice tip. Keep up the good work. I bought your book two days ago and I’m almost finished. Let me tell you I loved the book. I think I’ll will began reading it again to pick up what I have missed the first time. Thank you!!! Decided to support a hardworking photog who contributes much of his knowledge to the public – not to mention needing a good book on this subject! Looking forward to many details so often left out of many publications. Are you listening Joe? I am a big fan of your web site in which I find lots of intersting tips and technics that help me a lot in my work. Before finding your tangents I barely used flash. I don(t know if there’s many of your book in France but I have one and I love it. Got your book from Amazon and just finished reading it last night. 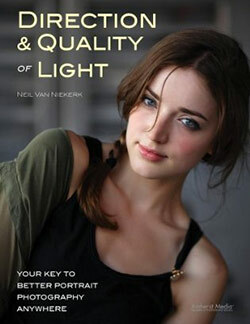 A veritable treasury of knowledge about flash photography. 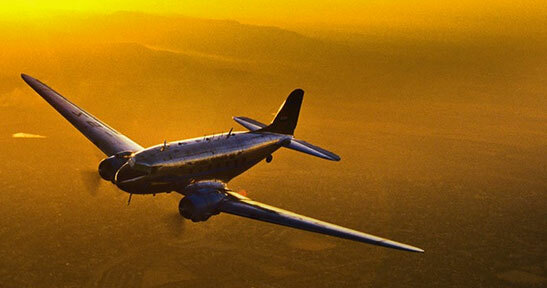 As I read the book, I could visualize photos I had taken over the years and knew now how I could improved them. I will have to read it again to absorb the lessons until I do all this without thinking. Thank you. Got your book today, first impression is great! Thanks for your little note, much appreciated. (I left a glowing review on Amazon as I think so many would benefit from your book. Glad to hear about the new book in progress – I’ll watch out for it next year. Your book talks about flash synch speed and my D300 has an option for 1/320 (auto FP) but when I set this and have the shutter at 1/320 (manual mode) I get reduced power from the 1/250 shutter speed. I’m using an sb-900. I have had to set the d300 to 1/250 (auto FP) and this works fine at 1/250 shutter speed. Am I doing something wrong? Giles .. nope, that’s the behaviour once you go over 1/250th ..
and on the choice of maximum flash sync speed. I read your book, and I am using it as a bible! EVERYTHING makes so much more sense after I read your stuff!!! I downloaded the book thru Kindle Store today . Not started reading yet and just glanced thru . I am sure its going to be a life time experience going thru all the practical examples but one thing which is disturbing is that the quality of photographs on the kindle edition is bad . These are not clear . Yeh I downloaded it from Amazon last night and shame about the photo’s being poor, I guess the kindle thing is poor resolution? I use a app on mac to view the book just wish I bought the book now. That said it is so far a fantastic read and easy to follow. I have bin following this site for a few months now and is up there with my fav sites too follow. Merci, Thank YOU. Your book is just great. As a French guy I had a bit of hard time reading it in english but now I am part of the black foam Ninja French Team :). Before I did not know how to use my 580EXII. And now I am training myself all the time with it. 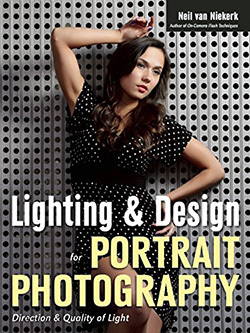 Your book is THE book for on-flash camera photography :). I lurk on your blog regularly and learn as much as I can, or reaffirm things I’m doing with lighting. I bought the book, if you read blogs like this you should support the content creators in what ever way make scenes. Good luck with the book. At first I thought the book was simply a collection of your blogs, as many of the images and lessons in the book have appeared on this site. However, it is much more than that. As a pro, I am not in the habit of spending my hard-earned cash (very hard-earned in some cases) on yet another how-to manual, so it needed to be special to get me to buy. It needed to be even more special for me to actually start using the techniques. It worked on both levels. So, even though you struggle to tell left from right, congratulations on a spectacular success…. Greetings from downunder(Adelaide)!! Found your book really, really useful. I am astonished by the quality of light you get using on-camera flash bounce appropriately. I am also very happy that you share your personal experience and settings with your public through the website and your book. There is a lot for me to internalise and practice from reading your book, but I am very keen to begin practising your techniques because it will eventually free me up from carrying too much gear on location shoots; indoor or out. Thanks once again for an engrossing read, and I look forward to your upcoming book on off-camera flash. Any firm timelines yet for publicaton??? I got a copy of your flash photography book about a week ago and have kept reading it again and again since then. It does help me understand more and more about using ceiling bounced flash light effecively and controlling it as I want, and I am sure that it adds more spice on my wedding work. Thank you for sharing your techniques, experience and useful tips through the book. I’m also looking forward to your next book, and please let us know when it comes out!! and its stated under the section of Flash exposure compensation. my question is are you talking about the FEC or Total Exposure compensation on Camera body? if i understood it correctly its about FEC .is the Darker objuct less Exposure compensation & Lighter objuct more exposure compensation rule is applicable for FEC too? and on Page 39 on the Table # 4 Wheather the Subject is offcenter or centered in the frame… How does the TTL/BL flash effect the subject if its centered or offcentered? holds true whenever you are using reflective metering, such as with your camera’s meter. This is regardless of whether you are using an Automatic metering mode like Program or Aperture Priority, or even Manual metering mode. It also holds true for TTL flash since it is an automatic metering mode. Therefore you would adjust FEC in the same way. The only time you don’t adjust your exposure up and down like that, is when you are using an incident light meter like a hand-held meter. How the TTL flash metering is affected by the position of your subject, is something that depends on the metering pattern of your camera, and the algorithms written for the flash metering. There is no way to give absolute and specific advice about this. Your blog rules and it has changed the way I use my flash! Thanks for being so totally cool and sharing this valuable info with the whole world. Thanks …so the Bottom line is the FEC on Flash itself need to bump up 2-3 stops if the Subjuct is lighter in tone and – 2 to3 stops if the Subjuct is darker in tone. and of couse i know this is applicable for Exposure compensation on camera body also am i correct? You have a camera. At some point you need to play with it and see how it responds. I am wondering if your book is for beginners? Manual flash versus TTL flash continues to mystify me. Wendy, the book does assume an understanding of how aperture / shutter speed / ISO inter-relate. Beyond that, I truly believe this book is one of the best introductions to the topic of flash photography. 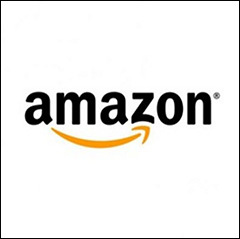 The feedback on Amazon will bear this out. I have a question about your settings when combining ambient light. In your shot on page 71. The wedding couple at the table in front of a large window. (photo plate 10.13) Your settings are 1/160 f4 iso 1250 and +2.3 on Flash. The ambient light appears to be f16 1/125 ISO 100. Because I am having trouble conceiving how bright ambient light wont blow out at such a setting I tried it. i am not having much luck in getting detail. Its blown out. Is there something I am missing? Does the increase in Flash Exp have something to do with it? I can’t seem to get past this? Thank you for putting together such a wonderful array of learning material for us to learn from. Its greatly appreciated. The day was overcast. It wasn’t bright sun outside. If the light was brighter, I would most definitely have gone to maximum flash sync speed. As it was, my settings of 1/160 @ f4 @ 1250 ISO was sufficient to allow some detail outside. Actually I did know the shutter was 1/160. That was my typo. Explaining that it was overcast outside does help. Still having a little trouble with the high ISO but I will keep practicing. Your book is the best I have read. Thank you for your quick reply! Hi Neil,so far you’ve got 59 out of 68 comments that give you 5 stars feedback at Amazon.Congratulations!.I do really look forward for your next book. Just read your book and it is a trememdous help to me. Thanks, and I’m looking forward to the off-camera flash book! I recently bought your book here in Bangkok where I am living since May 1997. The book interested me in the shop as I read that you are (obviously) from the RSA, graduated in engineering and worked in television broadcasting. Photography has been a hobby of mine since I received my first 35mm SLR as a gift back in 1984. I have been doing digital since 2000. While reading your book the penny finally dropped – the number of clicks on each wheel of my Sony A700 (and KMD7) and how they inter-relate now finally makes sense. And I do understand now (for the first time) why the shutter speed can be used to bring out the background without affecting the flash exposure. As an engineer I find this book brilliant. From your book I learned practical things which none of the previous 20 books on photography could get across. Thank you for a most useful practical book with quality photographs to support the text. Your book is part of my permanent photography library and I will be among the first to get your next book. The only negative is the title. You should have cut the title off after the word “Techniques”. I was hesitant at first to get the book because I thought that the portrait/wedding context was too specific for my needs. Of course after taking a chance and reading it I found it dealt with the basics which is exactly what I wanted. Mary .. that part of the title wasn’t my choice, but tagged on by the publisher. I’m glad though that the book found its way to you. I’ll have to make sure the next book’s title remain as I want it. We’ll see. Just ordered the book directly from you, figured you might get to keep a little more of the profit this way. Just a small way of sending a BIG thank you for all you share with us in this wonderful site. 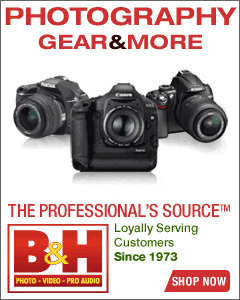 Carlos A – becoming a better photographer in great part thanks to you! Just ordered the book. I’ve been taking photos for friends and now “friends of friends” etc and really want to hone my flash skills. Discovered your site a few days ago and purchased the book from B-N today!!! Excellent tips & advice easily explained. My congratulations on your Polish edition of your beautiful book. Thanks for the link back to our site – and congratulations on the book! I just ordered your book on flash photography. I can’t wait to devour it! Tenho seguido o seu blog, do qual me tornei fã, é maravilhoso! Agora estou a ler o seu livro On-Camera Flash na versão Portuguesa e estou a adorar. Muitos parabéns por ambos e continue a fazer esse excelente trabalho. Great stuff, Neil! Picked up your book in Kindle, lots of useful info, and loving the tutorial blogs… keep them coming please! Just ordered your book:) Was editing pics yesterday and felt like such an amateur!! Shiny faces, some too bright, uneven lighting…… Can’t wait to get comfortable with my flash!! Off to shoot a wedding in a few days and once again having a quick flick through your book for guidance and inspiration. 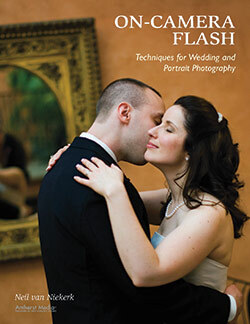 I just bought your book “On Camera Flash – Techniques for Digital Wedding and Portrait Photography” and love it. I bought it in the Kindle form and can’t tell you how many highlights I have made in it. I have read other books on flash photography and it’s really interesting to see how different photographers approach the same issue in different ways. Good enough, I guess I was just looking for a general idea from “your” experience. I just bought your other book and am looking forward to learning more from “your” experience. Just ordered your books, Neil. I’m sure I’ll get a lot out of them, but just supporting your site alone makes them worth it. Very helpful! Je ne parle pas un mot d’Anglais. Can I download your books as pdf files?? I live on Curacao,and it is a headache to order and have it delivered here.Would be great if I could pay with paypall and just downloaded them. I am sure I could browse this amazing website and glean much of the info in the book….but I love books, and there is nothing like having all of this and more in a nice readable format. Just ordered the book, cannot wait to get it! I read both your flash books and they are a great resource; different than everything else I have read so far. I have a question regarding the use of the “black foaming thing” setup. How do you determine the flash head’s zoom setting When using the “black foaming thing?” do you let the camera tell the flash head to automatically zoom with the change in focal length or do you set the flash head manually at one setting? Brent, here are all the articles on the black foamie thing. I mostly zoom out to my maximum on my flash, to avoid losing so much light when the light hits the edges of the BFT. I’d just like to say that your approach to flash has transformed my photography. 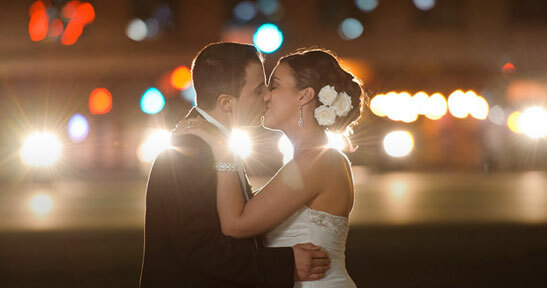 I was mainly an available light photographer and always steered well clear of flash. Your clear explanations are great and when put into practice yield instantly better results than I’ve had before. Your wedding work is definately something that is a step up from the norm. 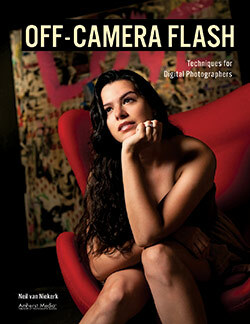 Just received and read your book about On Camera Flash and I like to thank you for creating this. Very well written and a lot for me to think about and most likely re-consider making pictures. I do have one question which is about the use of ADL (Nikon). I’m asking as I noticed in your book (on one of the histogram explanations) that ADL was switched on in the Normal setting. ADL , as you most likely be aware off, is created by Nikon to balans high light and low lights to take away shadows when not using flash. Do you know what impact ADL has on taken flash pictures using TTL and, even more, TTL-BL. To me it looks like that ADL and TTL-BL will try to do similar things: balancing. Isn’t this not too much captains on the bridge. Should we not just switch ADL > OFF?